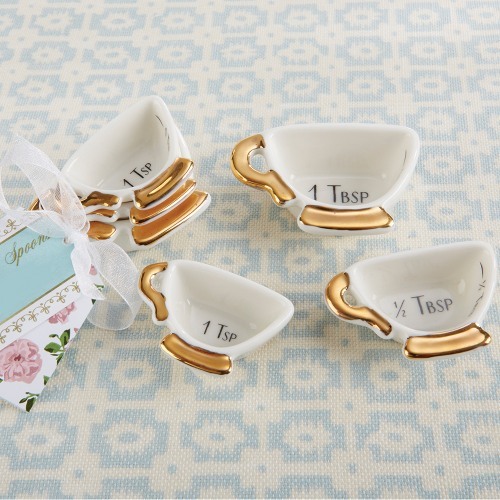 What better way to cook or bake then with these ceramic teacup measuring spoons? Practical and adorable, each set comes with three white measuring spoons that feature gold details on the base and handle. Perfect for tea party themed bridal shower favors!